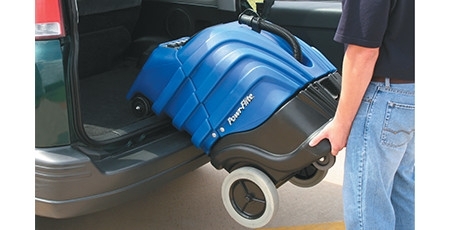 Click the button below to add the Powr-Flite: 10 Gallon Hot Water Carpet Extractor, 200 PSI, PFX1082E to your wish list. 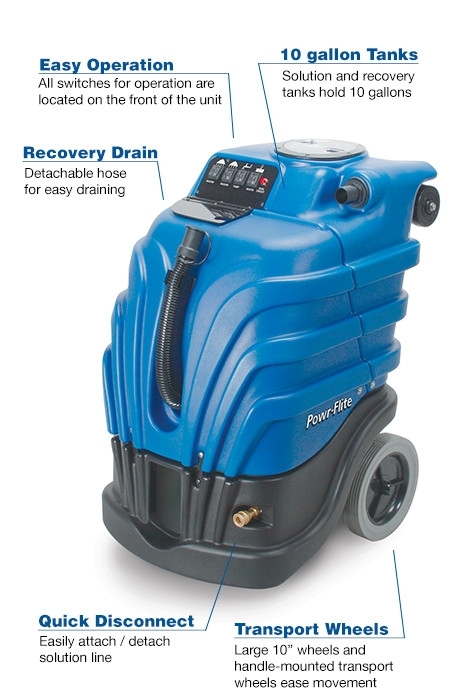 Add heat to your cleaning arsenal with Powr-Flite's hot water extractors! Hot water adds cleaning power by dissolving many types of soil including grease and oil and reduces the levels of biological contamination in the carpeting. PFX1080 mid-sized hot water extractors share all the standard features found on the 1080 cold water models with the added power of heated cleaning solution. Wands and hand tools sold separately. 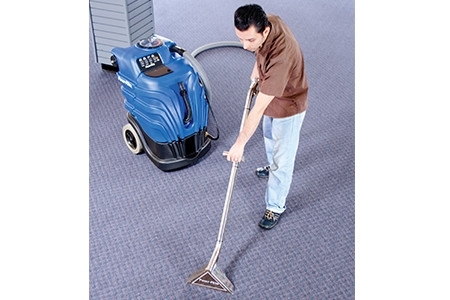 1,700 watt in-line heater provides superior cleaning power on the toughest dirt, grease and grime.